If you have tried using a GPS Phone app or a traditional GPS in your RV, then you know that it is inadequate. The best RV GPS have features and functionality specific to RVs. Recreational vehicles or RVs are higher and bigger than your traditional cars. Due to their weight and size, RV’s follow a different set of rules and laws and most standard GPS unit cannot meet these differences. Fortunately, many specialized RV GPS products designed to meet the needs of recreational vehicle drivers are now available. If you plan to go on trips with your RV, it is essential that you invest in a great RV GPS. A RV GPS specifically takes into account the RV’s size and weight as well as the intended use. It has programming that can understand the RV’s height and weight and avoid low bridges and those that cannot support its weight. With these specialized GPS system units, you can do some advance planning of your route and destination. Make sure to include stops that are RV friendly and campsites with ideal RV hookups so your trip will be more comfortable. With so many RV GPS products in the market, finding the best one might be confusing and stressful. We listed our top 10 picks to give you options. Read on. RV GPS: What is it? Before we look at the most popular RV GPS, let us first understand what it is and how it works. A GPS or Global Positioning System is a radio navigation system based on satellites. The United States Government owns the system and the US Air Force operates it. What we see on our vehicles or phones are the GPS receivers or GPS navigation device or unit, which we sometimes simple call as GPS. A GPS unit specifically designed for the special needs and use of a recreational vehicle is what we call RV GPS. Recreational Vehicle GPS is an essential smart tool for RV owners. It is a system designed to consider the different important factors of a recreational vehicle. It would navigate you through truck routes that stay away from narrow roads, U-turns, crowded urban streets, and any other possible road issues. Those circumstances can prove to be challenging for your RV because of its size and weight. If you are unfamiliar with the road you are taking, an RV GPS will ensure that you do not encounter any unpleasant surprises on the road. It helps you plan a convenient and more efficient route. It utilizes technology for advanced navigation so you can plot the most practical and cost-saving route. For those are afraid of getting lost, there are RV GPS models that can provide you with directions at every turn. An RV GPS will also help you keep track of the distance you have covered and how far you have to go to reach your destination. There are three parts in a GPS: satellites, ground stations, receivers. The satellites help you determine your exact locations at a certain specified time. The GPS system currently has 31 active satellites. The ground stations use radar to ensure you are exactly at the place where you think you are. The receiver constantly listens and receives the signal from the satellites. It uses the signal to determine the needed distance in reaching them. It determines your location by computing its distance from four satellites. If it can only get signals from three satellites, it can still locate your position but it is less accurate. These three GPS components ensure your RV GPS’s incredible precision in determining your exact location. The GPS system can determine the locations that are within a few yards of your exact location. Some receivers are so high-tech that they can do it within a couple or more inches. This system can easily pinpoint your location wherever you are. Using GPS can be fun because it is similar to watching live animation. It follows your every move. If you are driving, you can pick a car that would be your vehicle’s avatar. There are also choices for the voice that gives out the direction for hands-free navigation. Can navigate you in the wilderness or remote areas – The major reason most people buy GPS systems is for navigation. RV drivers know how difficult it is to drive on unfamiliar roads especially those paths and roads in the forests, national parks, and remote locations. Some of the roads are not even showing on the maps. Fortunately, the advanced system of GPS devices will help you navigate those difficult roads with ease. If you are lost, the GPS system can guide you to the nearest highway. You can now easily conquer your fear of getting lost in the middle of nowhere with the help of a reliable GPS device. Has a weather and traffic alert – With the state of the traffic these days, manufacturers created their GPS devices with the capability to give you alerts and warnings on the state of the traffic as well as basic weather. These alerts give you the information you need about the condition of the traffic and the weather. These devices will notify you if there are road constructions, traffic accidents, or road closures that can delay you. In such cases, they would also provide you with an alternate route so you can avoid these inconveniences. You have to understand though that the system is not without limitations. So, be prepared for those instances where the alerts would come in when you can no longer make changes to your route. Sometimes, the alternate route would take longer than your planned one. Overall, the GPS system’s capability to give road updates is very useful. Some GPS models can detect structural problems in buildings and roads. There are even some that can predict earthquakes. Has the neighborhood search capability – Most GPS units also has the capability to search for locations based on a landmark. You can now easily locate gas stations, restaurants, shops and rest stops nearest to your current location. However, even though most units have constantly updated maps, not all would be able to give you updates on the recent changes in the local landmarks. If you are looking for a specific establishment, it would be best to call them beforehand to confirm. Having a backup plan before leaving for the trip is also always a good idea. Offers convenience – This is one of the reasons why most RV drivers buy a GPS system. Any RV driver wants to have a convenient trip with no hassle and less stress, especially in unfamiliar locations and roads. GPS systems feature map data and have hands free functionality. An automated voice gives you verbal road directions to your destination. You do not have to take your eyes off the road to look at the map on the screen as you drive. With the help of satellites, your GPS system is able to pinpoint your current location and allows you to plan which routes to take. This capability also allows you to track where you are on the course. Using an RV GPS can guarantee you a convenient journey. A GPS can also help you save on fuel. An accurate GPS will guide you through the fastest route to reach your destination. It will help you avoid traffic that can eat up your fuel, thus helping you save money as well. Equipped with a panic button – GPS systems nowadays have amped up their safety features. Most of the current GPS models come with a panic button. In case of hijacking, or you got involved in an accident, you just need to press the panic button. An operator from your system’s carrier will immediately hear what is happening at your location. The operator will alert the authorities nearest to your location so they can immediately send help and ensure your safety. Many options to choose from – GPS units come in different models, formats, and sizes. Some vehicles already have a built-in system that uses either a CD or a satellite to function as a navigator and give you driving directions. If your recreational vehicle does not come with this feature, there are different models of portable GPS that you can choose from. There are GPS models that you can just mount on your windshield or dashboard. It has capabilities and functionalities that every RV driver needs and it is portable so you can carry it around easily. You can even use your smartphones to search and download navigation system apps that you can use for your travel. With this wide range of GPS units, you can always find one that meets your needs. Just keep in mind that your recreational vehicle would need a system designed specifically for RVs. Having the right RV GPS is a major advantage in your trip. The benefits are not just limited to what we have listed above. The GPS system is not just useful to RV owners or drivers but also to the military and surveyors. You can even use it with your camera. You can also use the GPS system to study the weather patterns, survey volcanic eruptions, track movements on the earth plates including sinkholes. Before buying a GPS device, make sure that you are aware of the cost, the monthly fee, and the coverage. Compare different GPS providers and device models. Make a comparison of the packages offered by providers so you can pick the device and the service that fits your needs. Check out user reviews and the product’s pros as well as cons. The Garmin dēzl 770LMTHD comes highly recommended. Although it is expensive, it has the most wanted and most needed features that are in every driver’s dreams. It provides real-time updates about the traffic situation and its lifetime maps guarantee updated routes. The RV routing can be customized by just inputting the size and weight of the recreational vehicle. By customizing the routing, the GPS will always guide you to roads and highways that are ideal to the needs of your RV. It sends immediate alerts and warnings when there are sharp curves, steep grades, bridge heights that might be too low for the RV or issues with the weight limit. It also has a directory for truck services and navigator’s trailer. You can search and filter truck stops based on the brand names and facilities of your preference. You can even use it to find popular or new restaurants and shops, including parks and hotels that received high ratings from other truckers. If you want to keep track of all the necessary information during your trip, you can use this system to log details of maintenance, fuel usage and service hours. You can then transfer your logged information to your computer for easier filling out of your quarterly International Fuel Tax Agreement Documentation (IFTA), logbooks or tax and forms materials. The Garmin RV-770 NA LMT-S is one of the most reviewed RV GPS and not without reason. 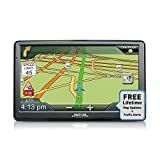 This is a popular GPS because it expertly combines a lot of outstanding functionality and ease of use. It is very simple and easy to operate, not to mention affordably priced. It has Bluetooth and Wi-Fi connectivity. It also has options for a wireless back up camera. You can easily update your system without connecting to a software program or a computer. Once you connect to a Wi-Fi network with no web browser sign-in requirement, the home screen of your navigator will just display a prompt for an available update. You can easily search through TripAdvisor or FourSquare for the places that catch your interest or look for RV rest stops. It also allows you to monitor live traffic and check weather updates. If you like planning for your daily route beforehand, this multipurpose navigator is your perfect partner. It gives you options so you can choose the best course to take. Its customizable routing allows you to input the size and weight of your RV so you can avoid routes with low bridges or weight limits. You can even program this navigator to avoid tolls and traffic jams. It comes with a high-resolution 6.95-inch screen that is big enough so you can easily see the details. It does not have its own address book though so you cannot store addresses in it. The Garmin RV 770 NA LMT-S Dedicated GPS Navigator is another GPS system product that comes highly recommended. True to its name, this GPS dedicatedly guides you through any location or route you want to take. Its mini-advanced system for navigation is perfect for camping enthusiasts. It sends warnings if there are any road issues and it guides your RV routing for safer travel. It lets you use a link app on your phone so you can check the status of live traffic and basic weather. It has hands-free Bluetooth calling, smart notifications, and directory for RV parks. It allows you to use your voice to navigate these features so you can still concentrate on your driving. You can filter the results of your campgrounds search based on the amenities and facilities that you need for your added convenience. 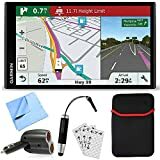 This GPS also features a touchscreen 6.95 inches screen display which gives you a clear view of all the important details. Its size is suitable for any car and even a recreational vehicle. However, this system’s USB cable inclusion is quite a disappointment as it comes in too short. 7" Easier Viewing Touchscreen Display:-Extra-large, vibrant, sunlight-readable display with day and night views for easy visibility. Automatic re-route:-Never miss a turn and quickly get back on track whenever you take a detour. The Magellan RoadMate RV9145 will definitely ease your worries about any recent route changes as it constantly updates your map for a hassle-free journey. It gives you two maps every year that you can easily update through the internet since this system is Mac and PC compatible. You can use the navigator’s Bluetooth connection as your speakerphone and make hands-free calls for safer driving. Its touchscreen 7-inch viewing screen is wide enough so you can easily check the details while driving. Your RV’s favorites menu gives you hassle-free access to your favorite searches and destinations for a customized RV experience. You can also customize your routing by just inputting the size and weight of your recreational vehicle. It also contains a directory of campground locations throughout the US and Canada. You can plan several stops in any these campgrounds by taking advantage of this navigator’s routing technology, which is a multi-destination. It gives superior navigation to ensure safe driving. Its Highway Lane Assist feature shows you the realistic signs on the highway. As you approach highway exits and interchanges it provides you with voice guidance to the correct lane. You do not need professional help in installing this GPS. It comes with a rugged and adjustable extension mount that is easy to install in your vehicle’s system. You can even install it yourself even if your RV’s dashboard is quite deep. As a bonus feature, it has an A/V input where you can easily attach a backup camera or use it to watch movies during rest time. As an added safety feature in case you have to drive through the night, it has an auto night view that automatically adjust your GPS unit’s contrast and color for an easier viewing even at night. We love all of its features except for its battery life, which is shorter than the other RV GPS. 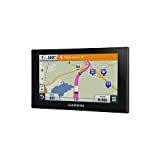 The Rand McNally 528013076 Interlliroute 8-inch TND tablet is an excellent choice for a recreational vehicle GPS. This multipurpose device works not just as your very effective GPS but also as your Android tablet. Its 8-inch screen is the largest so far among our list of RV GPS. The size ensures that when you are using this as your navigator, you can clearly see all the necessary details at just one glance. This in-cab device provides RV drivers with solutions to RV operations issues such as truck routing and tracking mileage. You do not call this a multipurpose device for no reason. It has a lot of functionality that allows you to do a lot of things. It comes preloaded with applications for a load board, email management, document imaging, accounting, news, fuel manager, and even entertainment. It includes a dash cam, which is in-board and has preloaded applications. You can use those apps to manage your RV driving operations such as what we have mentioned above (load matching, document scanning, and bookkeeping assistance). You need to be a little tech savvy though to fully enjoy this device. We have received feedback from other users who find this GPS a bit complicated to operate and not user-friendly. The Rand McNally TND530 Truck GPS is something RV and truck driver should be checking out. With its software updates, user interface and faster processing of information, it guarantees an efficient driving experience. This system automatically computes travel time, gas costs, road construction, and toll costs once you program your routes. It is just perfect for large vehicle drivers on long trips. It will also send you alerts and warnings if there are sharp turns, inclines, and declines, changes in speed limits, time zone changes, or truck stops. Depending on the route you are taking, you can use this system to look for places of interest to you. You can search for rest stops, local diners, gas stations, restaurants, and shopping outlets. You can use its address book to sort your business contacts and personal contacts. However, you might encounter problems with the size of its screen. It has a small 5-inch screen so the displayed information is hard to read especially when you are driving. The TomTom VIA 1605M RV GPS Navigator is ideal for those looking for a TomTom branded RV GPS. You can stop worrying about road changes since its lifetime updates would just automatically modify the map to reflect the changes. The system’s integrated maps that cover the US, Canada, and Mexico receive updates real-time. It also has IQ routes and has the technology for map share. These IQ routes feature means that you will get the most accurate time of arrival and the fastest route possible. Its 6-inch display that is wide enough so you can easily operate this navigator. It has an 800 x 480-pixel resolution and includes sharper graphics, a great user interface, and visible icons. It features a split-screen that allows you to look at two views at the same time. It shows road signs in 3D view and has arrows that direct you to the right exit. You can even see the complex intersections from a “birds-eye” view. With this feature, you can check which way to go in advance for smooth and stress-free driving. You can use this device to look for local information at your current location. You can search for the closest restaurants, hotels, and shops. It is quite easy to install this GPS. You just need to attach its integrated mount to your truck or RV’s windshield. Our only complaint is the absence of Bluetooth functionality. 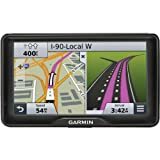 The Garmin RV 760 LMT portable GPS navigator has many good features that are worth checking out. It comes with Bluetooth functionality, has audible navigation and can respond to verbal commands. It includes speakers that can clearly hear your every word as you voice out those commands. Its large 7 inches viewing screen is clear and wide enough so you can easily see it while driving. It has a white backlight that prevents glare during daytime and bright enough during nighttime. Looking for the best possible route to take becomes effortless with the assistance of this RV GPS. You just have to input the information and the system will do the searching for you. It is as quick and as easy as that. You also will not have a hard time looking for a good place to rest because this system contains a list of places that are RV friendly. With its free map, you can easily track where you are currently located or where you are going. You do not have to worry about high winds or sharp curves as this GPS sends you information and warns you about these issues ahead of time. It also alerts you when there are narrow roads or low hanging branches up ahead. It even gives traffic updates and alerts you once you crossed the state lines. This system makes sure that you have a safe and pleasant trip. The only issue you might have with this GPS is that it directs you to crowded routes and areas. Navigating through those populated roads can be challenging for your large RV. Take note as well that its Bluetooth function can help you connect to Gamin’s helpful live services. These services are not free so it might affect your budget. The Garmin 760LMT GPS System is a good investment. It comes with many functional features including a backup camera that is wireless. Its wide 7-inch viewing display is touchscreen and has high resolution. This big screen lets you see all the important details clearly. Its size also makes it visible even in a large vehicle such as your RV. Since this system has lifetime maps, you can rest easy that it always gives you updated routes. With this system’s customizable routing, you just need to input your RV’s height, weight, and length. It will then find the best roads and major highways that an RV can take while avoiding RV restrictions such as low bridges. It technically guarantees a convenient trip. Its big back up camera is definitely not just for display. It can wirelessly transmit images to the GPS’s screen from 45 feet. This simply means that you can easily spot other vehicles or obstacles. If your vehicle is longer than 45 feet, you can always use an extension cable. The only downside we can find is you would need professional assistance to have this system installed in your recreational vehicle. Garmin RV 660LMT GPS has a lot of commendable benefits. This navigator strives to keep you safe by sending you immediate alerts and warnings if there are certain road issues. Examples of these issues are steep grades, sharp curves, weight limits, and bridge heights. It has a route-shaping feature that allows you to make changes to your route easily. With just one touch of this system’s screen, you can modify your route to include your most preferred road or cities. To suit the specific needs of your RV, it also includes a customizable RV routing. This allows you to tailor your route on the size and weight of your recreational vehicle. It contains a built-in map tool for elevation to show you possible steep grades in the route. Searching for parks and RV services is also convenient as these are in this GPS’s directory. It even allows you to filter the results based on the amenities and facilities that you prefer. We would love this GPS a lot more though if it can provide us with traffic updates. Sadly, this navigator does not have a cord for the traffic receiver. To get traffic information, you can connect it to your phone. Even with all those reviews and options, choosing the best RV GPS can be confusing if you do not know what to look for depending on your needs. We created a guide to give you tips on what to check and consider when buying an RV GPS that you can rely on when you take your next road trip. Controls – Check the GPS’s controls before purchasing one. Examine the device’s control and check if those are easy for you to operate. The overall interface of the GPS unit is also crucial in making your buying choice. Skip those devices that do not provide ease of access to its settings as you drive. We highly recommend GPS systems that have touchscreen displays for convenience. Those are easy to use and operate. You do not even have to input information such as addresses or street names. You would not want to spend your time fiddling with manual GPS controls when driving. Processing or load time is also something that you need to consider. Look for a system that loads quickly so you can locate your destination quickly. Data Entry – Systems with predictive functionality for data entry is now available. You no longer have to input your chosen destination manually, which can be challenging when you are driving. This predictive functionality offers convenience in entering your destination’s address. You can use to do quick and easy searches for locations that your plan to visit. This feature will present your top search or most frequently searched address by just typing in the first two or three letters. You can then just pick the address you want from the choices provided. Choose an app with a predictive feature for data entry. This great benefit can help keep you safe while driving. Portability – Portability is another important aspect that you should consider in choosing your GPS unit. You should be able to store the unit in your traveling bags or carry it with you. There are GPS models as big as paperback books or has the same size as your standard wallet. The process of Installation – You should also consider the installation process of your GPS unit. Can you easily do it yourself or would you need professional help? A good system should be easy to install and to remove when necessary. Do not forget to check at these devices mounting options as well. The most suitable GPS devices for an RV are normally those that come with a windshield mount and suction cup. Make sure that it has an angled and steady arm to secure the device while on its suction cup. Those with gooseneck arms are not good options as they vibrate every time your recreational vehicle moves. Travel Frequency – Of course, the whole purpose of getting an RV and a GPS is to use it for a trip. How often you will be using it to travel is another crucial factor that you should consider in getting the right GPS for your RV. It should have all the capabilities that meet your needs. Unless you have extra money to spare, you do not need to choose a fancy and expensive system if you travel occasionally. Many devices feature plenty of commendable benefits at an affordable price. If you are a frequent traveler, we highly recommend that you invest in a good RV GPS. It would be more expensive but it has all the features and functionalities that are necessary for a convenient journey. Viewing Screen Size – The size of the display is a major considering factor in choosing your RV GPS. The most used part of your device is its screen since you will be looking at it a lot as you plan your destination, routes, and stops. A bigger screen also means less difficulty in looking at the information. This can help keep you safe as you can focus on your driving. Make sure that the screen of your GPS device is the right size for your needs. It should not be too small that it is hard to see the information displayed on it. It should also be not too large where it can block your view of the road. Choose a unit with a screen that is not smaller than 5 inches. Those with 7-inch screens are on the expensive side but they will give you major advantages. Larger touchscreen displays would have larger buttons so you can easily input the addresses or the locations that you want to search. If you are a frequent traveler, it is best to avoid GPS units with smaller screen displays. Wireless Connection (Bluetooth and Wi-Fi) – Bluetooth and Wi-Fi can be optional in choosing your RV GPS. However, it does not mean that they are not important. The ability to connect to Bluetooth and Wi-Fi increases the reliability of your device. You can get information and updates about real-time traffic and basic weather. You can also pair it with your tablet or smartphone for added convenience. GPS systems come in different kinds and they all have impressive features. Handheld GPS System –Who says only vehicles need a GPS system? This GPS is suitable for people who love camping and hiking. It is like a very advanced compass or digital map. Compared to those classic tools for navigation, the handheld GPS offers convenience that you cannot get from a compass or a map. It is hard to pinpoint your exact location using a compass or a map. With a GPS system, you know exactly where you are. It also informs you of the levels of elevation as well as other important aspects of the area’s topography. You can access waypoints to get the location of a campsite, fishing site, and safe passage. It increases outdoor safety as it prevents you from getting lost in unfamiliar territory. Rescuers can easily find you in emergency cases since your GPS can pinpoint where you are. Devices with a handheld GPS are your portable GPS, pocket GPS and of course, those GPS apps on your phone. You can use a portable GPS when traveling on foot or in a vehicle. They are typically not pocket sized and usually measures around 4 inches and weighs about 10 ounces. They are very convenient to use, you can attach them to your backpack when hiking or just place them in your car compartments. You can also attach it to your pet’s collar to keep track of its location. As its name suggests, a pocket GPS is a small lightweight GPS device that you slip inside your pocket. Do not be deceived by its size though, as it normally costs more than your portable GPS. Sports GPS System and watches – This GPS system is suitable for those who love sports. There are GPS trackers now that can measure your steps or pacing, the distance you have covered in walking or running and even the number of calories you burned. Sailors would find those GPS models designed for marine conditions especially useful. They no longer have to study and interpret the position of the stars to know where there are. Sailors can relax and enjoy their sailing trip even on the cloudy night with no stars as the GPS system will do the tracking and locating for them. Most marine GPS includes a database that can detect water buoys and sound signals. For those with an active lifestyle, GPS watches are now available so you will not have to give up your most loved sports. Those watches also feature a compass. The GPS watches functions as tiny computers on your wrist, giving you your needed benefits. The downside to this cool system is the size of its screen. Considering that it is a watch, the display is small. You probably would need new models frequently to accomplish your tasks. Street Navigation System – This type of GPS is what you usually get for your vehicle. With this system present, you feel assured that you have the right companion to guide you in driving your RV. This device can give specific instructions in every turn. With the use of this device, you can keep track of your mileage and speed. It also gives an estimated time of arrival so you will know how long you will have to stay on the road. Some of these GPS types are optional. You may want a built-in model in your vehicle’s dashboard or a removable model that you can attach to the dashboard or the windshield. You may also opt for handheld models. Almost all of the GPS systems today have preloaded US maps. You can upgrade them to include international maps. These maps include essential information such as police departments, airports, hospitals, areas of interests (restaurants, hotels, etc. ), gas stations, landmarks and a lot more. This system is programmable which is a major advantage as you can program it to give details on your rest stops locations. Another advantage is that you can interface it with your smartphone. This means you can use it hands-free for added convenience and safety. An example of a GPS device that uses this type of System is your in-dash receiver, normally mounted on your vehicle’s dashboard. Some vehicles have this built-in feature, or you can ask the GPS companies to install it for you. One advantage of having in-dash receivers is you will not misplace it. GPS devices are not just limited to closed vehicles. Motorcycle GPS systems are now available. These GPS devices have the same functions as those that are in your car or truck. The difference would be in size and some of the features. A motorcycle GPS are usually conveniently sized, waterproof and vibration resistant. Compared to those made for cars, they have several limitations. They still do not have the capability to send warnings on speed limits or have Bluetooth technology. They also currently not yet fuel-spill resistant. GPS Child Locator Watch – This is a combination of a wireless radio and GPS designed specifically for your kids. This system will help you locate where your child is through phone or web-based service. Obviously, this is not free. It requires an activation fee and a monthly tracking fee. This system is helpful in lifting some of your worries about your child’s safety. What are the GPS functions and how is it helpful? A good and reliable GPS system is an essential tool for traveler especially if they are driving. It will help them have a smooth and worry-free journey. A GPS system gives you infotainment potentials so you can travel to a lot of different places. A GPS unit offers convenience, as you do not have to worry about getting lost in unfamiliar roads. You can just forget about stopping from time to time to ask for directions as you have a reliable navigator. The system uses advanced technology for navigation, making your trip easier even in an unknown location. With this technology, you can plan your course ahead of time so you can take the most practical and cost-saving routes. It can even show you and keep track of the road you have traveled. In doing so, you get the details of your covered distance and your distance from your destination. Having a GPS system is like having a personal navigator. You can utilize your preferred routing based on your specifications and details regarding the quickest and least expensive route you can use. Some systems show you routes that avoid toll fees thus helping you save on your trip. A GPS system helps you avoid traffic. It gives you real-time updates about the traffic conditions and gives you possible alternate routes to get to your destination faster. Having a GPS device helps in finding RV friendly locations, campgrounds as well as local RV services (dump stations, towing services). It would also help in finding local shops, gas stations and eating places along your route to your destination. You can always use a handheld GPS device or use your smartphone’s GPS app. However, due to the size of the screen, it can strain your eyes and distracts you from focusing on the road as you drive. A tablet GPS device is more advisable. It has a larger screen display (ranging from 5 to 8 inches) that helps prevent eye stress and strain. What issues would you encounter in using an RV GPS? Let us face it, there are no perfect systems. This means that even with all its usefulness, benefits and advantages, there will be instances where your trusted GPS will fail you and cause problems instead of convenience. One such problem is a depleted or a dead battery. This usually happens when you have not used or even just powered on your device for a long time. That is one of the most common causes of battery depletion. When this happens, plug your unit into a wall outlet or connect it to a computer. Then check for GPS activity. The device and system should have already detected the power source will now charge its battery. In cases where it no longer charges or drains the battery in such a short amount of time, you probably need to replace your batteries. It is best to check your GPS device’s battery status a day or so before the planned trip. This way, you can charge or replace the battery if needed. Your RV GPS contains a micro SD card. Another problem you might have with your unit is when this micro SD card becomes bad, loose or has a poor display. Combatting this issue is quite easy. If you will be using your GPS device frequently, make sure to purchase a trusted and reliable brand for your SD card. 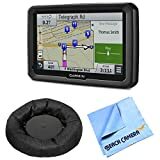 What are some of the good brands for RV GPS? RV GPS units are popular not just to RV drivers but also to other big vehicle drivers. There are plenty of reputable and trusted RV brands. Garmin is one such brand. They continuously produce good quality products and are constantly releasing different GPS systems models so their customers can find the GPS device that best fit them. Some of the other brands who have also made their mark in RV GPS community are RoadMate, Magellan, CoPilot and Rand McNally. Are there trip planners in GPS systems? It all depends on your GPS device’s model and brand. GPS systems from Garmin usually have this feature. You can use the trip planner to create then save your planned trip. You can then use it to navigate later as you go on your journey. If you are planning a road trip, vacation or just delivering to another location, you will find that a GPS systems’ trip planner capability is very useful. You can customize your trip or just edit an already saved route for a trip. Using this feature, you can add your scheduling info and shape points, you can optimize your stops and you can reorder locations. Are lifetime updates included in GPS systems? Almost all of the current GPS systems have lifetime updates. RV GPS provides traveling convenience and these lifetime updates would ensure that you get the utmost convenience that you are expecting. Lifetime updates keep your system current and up to date regardless of the changes in the routes. Bear in mind that with all the infrastructure improvements going on around us, streets and roads change constantly. Not up to date GPS systems can cause difficulties in finding your route when changes happen. This can lead to frustrations and delay which can ruin your trip. Fortunately, you can easily avoid that problem by updating your system. This makes lifetime updates in your GPS systems extremely valuable. What are my GPS system’s warranty details? Just like any other device, the warranty associated with your GPS system unit depends on its manufacturer. Most manufacturers’ warranty covers repairs for the units’ damaged components and parts. They give around three to five years of warranty period. Where can you buy an RV GPS? There are several local shops, Best Buy for example that offers RV GPS. A lot of these devices are also available online on websites like eBay or Amazon. Most of these sellers have a wide range of selection to choose from. Make sure that you find one that meets all your needs for your RV trip. It would also help if you can easily install it yourself so you no longer have to contact a professional for help. If you love your RV and you want to make sure that you will have a safe and enjoyable trip, then you should definitely get an RV GPS for your vehicle. Once you have started your journey, you will be very thankful that you got one. Just imagine the time and effort you will be saving because you will not be worrying about road issues or traffic conditions while on the road. Your GPS system will guide you as you traverse those unfamiliar roads, it will keep you updated of the weather and traffic conditions, will inform you if there are issues on the road and will give you alternative routes and it will even show you a directory of places of interest. Now, that is everything you need for a stress-free journey.